Welcome to TouringPlans’ Walt Disney World October 2016 preview – fall is here and we’ve been celebrating Halloween for the last month. Who’s with us and ready for October? Things finally start to cool off in October. The heat is more bearable and we’re reaching the end of hurricane season. NOAA’s National Hurricane Center is an excellent resource for forecasts that may affect your October trip. Evening temperatures drop below 70 this month, so pack layers if you have any day into night plans. Zika, the mosquito-born virus, remains a concern for residents and visitors to South Florida (we realize Walt Disney World is not in South Florida). 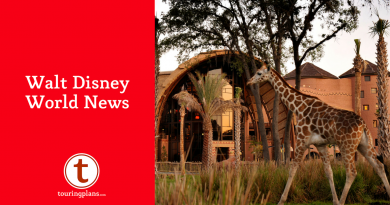 While Dade County has said aerial spraying has been very effective in killing affected mosquitos and larvae in the neighborhoods Zika was first found in, Walt Disney World is still providing mosquito repellent in its hotel rooms and at park entrances for guests. It also filled in the standing water at the long-shuttered River Country in Fort Wilderness. The CDC is your best source for news about Zika. Every Thursday Brian hosts a Live Facebook Q&A, usually at noon or 1pm Eastern. Check Facebook each week for the exact time. October brings Columbus Day, several Jewish holidays. 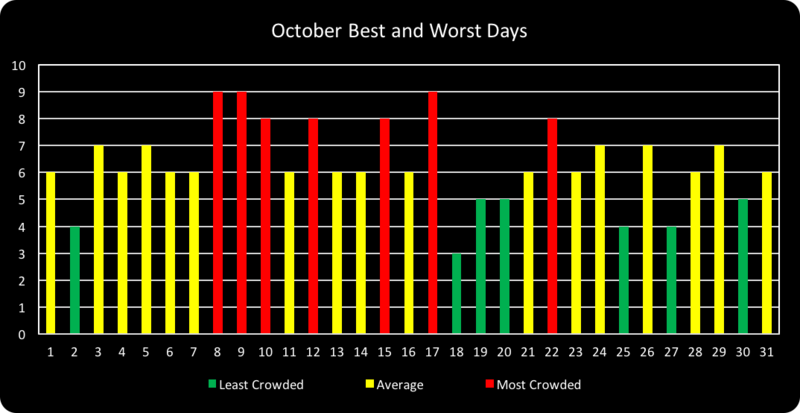 and various fall breaks for schools, meaning crowds are slightly higher than in September or November (other than Thanksgiving). Still there are plenty of great days to visit Walt Disney World this month. For day by day park recommendations for travel during September, check out our Crowd Calendar. October 1 is the 45th anniversary of the opening of Magic Kingdom. Guests in the parks can expect a small ceremony in the morning and a variety of merchandise and themed treats for purchase. Rikki covered this in an article earlier this month. The Epcot International Food & Wine Festival continues from September 14 to November 14. The event doesn’t really impact wait times at Epcot, but it definitely clogs the walkways. For the least hassle experiencing Food & Wine, avoid the weekends. Mickey’s Not So Scary Halloween party. Halloween at Walt Disney World continues from September and runs through October 31. Halloween night is already sold out. Remember Magic Kingdom will close early (7:00 PM) to day guests on party nights. There are really not a lot of discounts for travel this October. The next set of public discounts is for travel that begins November 6. Florida Resident Discount: Room-only discounts are available for stays through November 4. 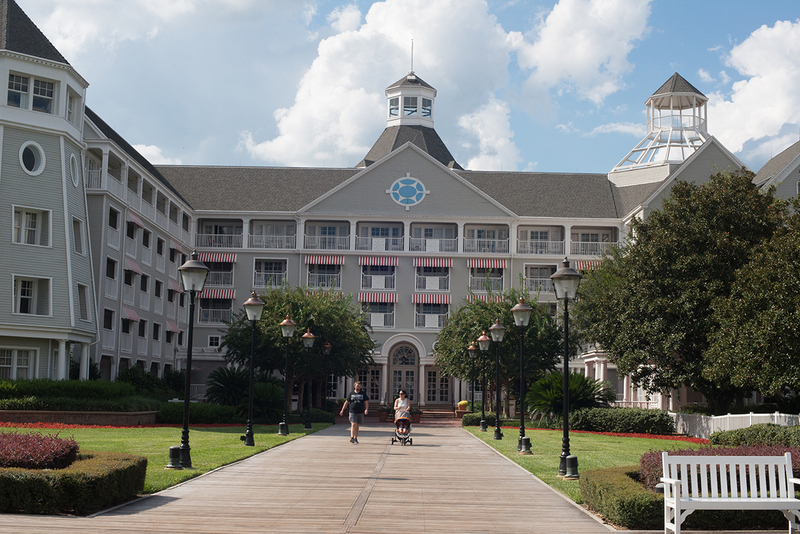 Passholder Discount: Room-only discounts are available for stays through November 4. Details here. At Magic Kingdom, the Muppets land in Liberty Square starting October 2. Bodh’aktan, a Francophone Celtic-rock band from Quebec, will be playing 20 dates at Epcot’s Canada Pavilion in October. We’ve checked them out on YouTube and think they’re worth a visit. Stitch’s Great Escape!, possibly the most loathed attraction at Walt Disney World, has gone to seasonal operations at Magic Kingdom. If you wish to experience this attraction after October 1, you’ll have to wait until the weeks of Thanksgiving and Christmas. Also, let us know who you are – we have never met anyone who actually enjoys this attraction. Typhoon Lagoon’s Shark Reef closes permanently in October to make room for construction of a new family raft ride, Misfortune Falls. The Shark Reef’s final day of operations is October 2. We still don’t know what’s up with Rivers of Light at Animal Kingdom. From what we hear, Disney won’t make any official announcements until well after its soft open. If you’re traveling in October, keep your ear to the ground. Or follow us on Twitter, which is far less dirty than putting your head on the dirt. Sanaa at Kidani Village now serves quick breakfasts including Grab and Go. Previously there were no breakfast options other than room service at this DVC resort. Staying at an Epcot area resort is a great option for those who want to make the most of the Food and Wine Festival. Yacht Club is often overshadowed by its sister resort, the Beach Club, though it’s difficult to pinpoint why. The two resorts share a pool, Stormalong Bay, and are connected by a convention center. Even without counting the ability to walk into Epcot from Yacht Club, this hotel (and all Epcot resort area hotels around Crescent Lake) has by far the most dining options of any cluster of hotels at Walt Disney World. Captain’s Grille is an often-overlooked, but well-regarded by our readers, choice at Yacht Club with little problem getting a table on short notice and good (for Disney) prices. For some reason, Yacht Club has greater discounts and more availability than Beach Club or Boardwalk. We’ve stayed at all three and can’t pinpoint why. 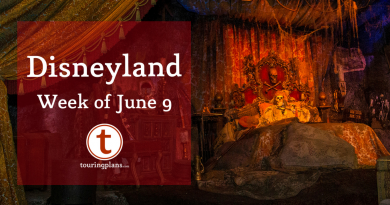 It could be that people find theming less inviting than the light and airy feeling of Beach Club or the whimsy (if you consider clowns whimsical and not super creepy) or the Boardwalk. Still, we managed to book a club level room at Yacht Club in September for basically the same price as a standard room there. For that kind of deal, we can make our own whimsy. Have you booked Yacht Club for your next trip? Try out our room request tool. Disney food expert, our anonymous reviewer Tessa Koten, has been eating everything at Food & Wine so you can choose the best of the best. Tessa also shares her picks for family-friendly choices at the festival. Want to join in the Stitch pile-on? Stitch’s Great Escape is not the only reviled incarnation of the alien koala. Read our hot take from 2009 titled Stitch’s Show is Worst Ever. Bringing the whole family to Mickey’s Not So Scary Halloween party this month? Julia has the lowdown on all you need to know. I believe Yacht Club receives more discounts and availability that the Beach Club because it hasn’t received renovation yet, but Beach Club is fully renovated. Renovation keeps getting delayed at Yacht Club…does anyone know if it has begun? Although this may be a really silly reason, I will tell you why I decided to book the Beach Club rather than the Yacht Club. I just looked at the names! In my warped mind I thought that incredibly rich people are members of Yacht Clubs – maybe people who have yachts? I am not incredible rich and don’t own a yacht. I have wandered into the Yacht Club in the past and just got that gut feeling that it just wasn’t quite a friendly as the Beach Club. There! I told you it was a stupid reason!!! 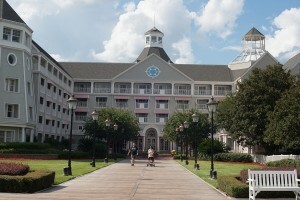 Also, isn’t the Yacht Club slightly more expensive – and if most/all of the amenities are shared, why pay more for them? I do stay at the Yachtclub every year. Since we do adult vacations—we find it a little more quiet than Beach Club and Boardwalk. Also love the proximity to EPCOT. I guess I’m the guy. The one guy who is actually sad to see Stitch go to seasonal status. While it may not be my favorite attraction … I don’t hate it. I’d always visit when in the Magic Kingdom at least. Thank for the October update! We also like Stitch, but mostly because we like watching the crowd reactions to it, not really because of the attraction itself. 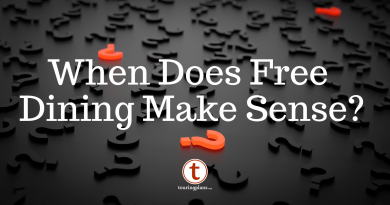 I’m so sorry if this is not the appropriate place to ask this question – I just didn’t know where to ask! I was wondering why the wait times appear to be average to high in MK on November 17, 2016? That’s the day it closes at 4:30 and it’s only a crowd level 2. But it looks like wait times are high. Any insight into that? I appreciate it! Oh, and let me know if I should post this question somewhere else instead. Thank you!